Immokalee farmworkers and their families marched to Nelson Peltz's offices at Trian Partners in Manhattan on July 19, 2018, to demand that Wendy's make an unequivocal commitment to human rights. Since January 2013, the Coalition of Immokalee Workers (CIW) has been mounting an effort to pressure Wendy’s to participate in its Fair Food Program, which ensures better wages and safer working conditions for Florida’s tomato pickers. The CIW has been organizing in Florida for over two decades, and its efforts have been widely recognized for improving the lives of thousands of farmworkers. The New York Times noted in a recent article that the CIW “has persuaded companies like Walmart and McDonald’s to buy their tomatoes from growers who follow strict labor standards,” but that “high-profile holdouts have threatened to halt the effort’s progress.” The CIW is now “raising pressure on one of the most prominent holdouts — Wendy’s — which it sees as an obstacle to expansion.” The CIW and its supporters have launched a campaign to get officials at colleges campuses with Wendy’s restaurants to “either remove the chain from campus or block it from doing business there in the future,” according to the Times. One big fact the Times article failed to note is that the real power behind Wendy’s is a prominent hedge fund run by a well-known Trump donor who owns a $123.1 million Palm Beach estate that sits next to one of Trump’s former properties. Trian Partners is a Wall Street power player that oversees $11 billion in assets. Its CEO is Nelson Peltz, a famous billionaire investor. Trian Partners has a 12.4 percent ownership stake in Wendy’s, and Peltz and Trian’s two other co-founders also have significant personal holdings in the company. The fast food chain is one of the hedge fund’s prized portfolio companies. Trian and Peltz are not passive owners of Wendy’s. Peltz has a reputation as a hands-on, activist investor in his companies. He is Wendy’s board chair, and Peter May, Peltz’s longtime partner and Trian’s president and co-founder, is the vice chair of Wendy’s board. Peltz’s son Matthew also sits on the board of Wendy’s. Trian has been invested in Wendy’s since 2005. Through years of high-profile organizing, the CIW has convinced major retailers and fast food chains to buy tomatoes from Florida growers — 90 percent of U.S. winter tomatoes are produced in Florida — that meet specific standards around working conditions, and to pay an extra 1 to 4 cents per pound of tomatoes that goes to tomato pickers so they can receive a decent wage. Walmart, McDonald’s, Burger King, Subway and Yum Brands, which owns Taco Bell, Pizza Hut and KFC, have all agreed to this. But not Wendy’s and Nelson Peltz. Trian is an activist hedge fund that uses its stake in companies to assert influence over their operations. In response, the CIW has been waging a boycott of Wendy’s, and it has drawn attention to Peltz’s leadership role at the company. It has staged a number of protest actions against Trian and Peltz, including a big march to Peltz’s Park Avenue office and a rally outside of Wendy’s annual shareholder meeting, both last year. In addition to Wendy’s, the CIW is also trying to pressure Costco and supermarket chains Publix and Kroger to join the Fair Food Program. Trian Partners is a hedge fund that was started in 2005 by Nelson Peltz and Peter May, who have worked together since the 1970s, and Edward Garden, who is Peltz’s son-in-law. As mentioned, Peltz is the firm’s CEO and its most prominent figurehead, and Trian currently oversees $11 billion in assets. Trian is an activist hedge fund, meaning that it uses its stake in companies to assert influence over their operations. Trian invests in a range of industries, including retail, restaurants, packaged consumer goods and financial companies. 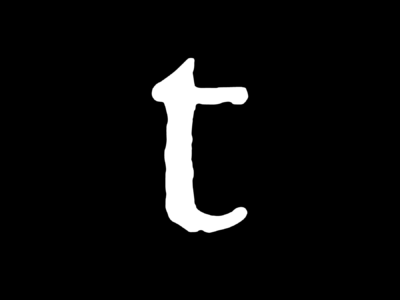 According to its website, Trian’s current portfolio companies include Wendy’s, Procter & Gamble, GE, Sysco, PPG Industries, Pentair, nVent Electric, Mondelēz International and Bank of New York Mellon. Its past holdings have included Domino’s, DuPont, Family Dollar, Heinz, Kraft Foods, PepsiCo, Dr Pepper Snapple Group and others. Trian Partners and some of its portfolio companies. Trian has a 12.4 percent stake in Wendy’s, according to a March 12, 2019 Barron’s article. The article also states that “Peltz himself has total ownership of 44.4 million Wendy’s shares, including shares held by Trian, for a 19.3% stake.” Additionally, according to a recent SEC filing that the Barron’s article cites, May and Garden also hold significant sums of Wendy’s shares. More shares are held through family members of and foundations affiliated with Trian executives. Trian describes itself as a “highly engaged shareowner, bringing an ownership mentality to public market investing.” It takes active board positions with the companies it acquires. “We look for fundamentally great companies where management has gone off track operationally and where we think we understand what it takes to get the business back on track,” Garden told an investment conference in March 2019. Peltz enables Trump’s far-right politics through tens of thousands of dollars in donations. Institutional investors, such as retirement funds, foundations and endowments account for 75 percent of Trian’s assets, according to Fortune. For example, as of June 2018, the California State Teachers’ Retirement System had a $895 million limited partnership with Trian, while, in 2018, it appears that the New York State and Local Retirement System paid Trian a total of $21.46 million in fees to oversee $618 million in investments. This means that public sector workers across the country have pension funds invested with a hedge fund that refuses to do right by farmworkers, some of the poorest and most vulnerable laborers in the U.S. According to PitchBook, a database of information on private equity, Wells Fargo’s corporate pension and Kaiser Permanente’s 401(k) fund, as of January 30, 2017, and January 30, 2018, respectively, also have limited partnerships with Trian. Nelson Peltz is the CEO and public face of Trian Partners. His net worth is $1.6 billion. Peltz sits on the corporate boards of Wendy’s, Procter & Gamble, Sysco and the Madison Square Garden Company, and he has sat on a host of other corporate boards in the past. Peltz has a reputation for his opulent lifestyle and lavish spending. He owns the second most expensive property in Palm Beach, Florida — a huge oceanfront estate worth $123.1 million, according to the Florida Department of Revenue. The estate, called Montsorrel, neighbors a property previously owned by Donald Trump. 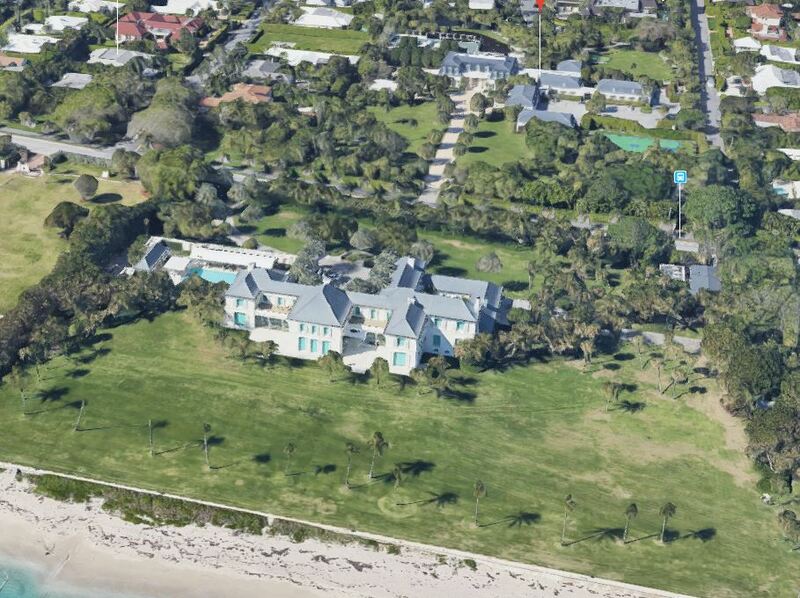 Peltz’s Palm Beach estate is around 100 miles from Immokalee, Florida, where the CIW began in 1993. The CIW has repeatedly called attention to Peltz’s Palm Beach property in the past, and it staged a march on the bridge connecting West Palm Beach to Palm Beach in 2016. Nelson Peltz’s $97 million Palm Beach estate. Peltz also owns a 27-room mansion on a 130-acre property in Bedford, New York, that in 2009 was reported to feature “a lake, waterfall, indoor hockey rink with Zamboni machine, and a flock of albino peacocks that can occasionally be seen running around the manicured grounds.” He has been reported to own two matching jets, and he used to take a private helicopter to work before his neighbors in the Town of Bedford, upset with the noise, succeeded in stopping him. Philanthropy functions as cover for their roles in driving core societal problems like economic inequality. In one of the most egregious incidents, we hear Mrs. Peltz summoned a butler to the master bathroom after she discovered drops of urine on the toilet seat. She demanded the butler clean it up, which he did, although she then insisted that he clean the toilet seat again. And again. It was only after he’d cleaned the seat four times — “once more for luck,” she said — that Mrs. Peltz, perhaps detecting some frustration on the butler’s part, informed him that she didn’t like his attitude and dismissed him. It was Easter Sunday. Peltz is also a big political donor. According to FEC filings, he has personally given $960,000 to Super PACs, $406,797 to federal candidates, and $172,500 in joint fundraising donations. He appears to be an opportunistic donor, giving big to both Democrats and Republicans, directly and through Super PAC donations, throughout the last two decades. Notably, Peltz personally gave $85,800 to Donald Trump in 2016 and 2017. This included three donations of $25,000 each to the joint fundraising committee Trump Victory and four donations of $2,700 each to the Trump campaign. The Fair Food Program has helped transform the state’s tomato industry with some of the highest labor standards in American agriculture. But Peltz’s donations to Donald Trump — who is the embodiment of far right-driven polarization — fly in the face of Peltz’s supposed commitment to “moderation.” Peltz cannot claim to promote the political center while he also enables Donald Trump’s far-right politics through tens of thousands of dollars in donations. Peltz has also called Trump “a great negotiator” and is on record praising Trump for his trade policies. “The president is doing some really brave things,” Peltz told CNBC in June 2018. According to his Trian Partners page, Nelson Peltz holds a range of trustee and board positions at large nonprofits, including the Weill Cornell Medical College, the New York-Presbyterian Hospital and NewYork-Presbyterian Foundation, and the Milken Institute. Peter May — Trian’s president and Peltz’s longtime business partner — is even more plugged into the elite circles of New York City and beyond through his board and trustee positions. May is the chair of the board of trustees of the Mount Sinai Health System in New York, vice chairman of the New York Philharmonic, a director of the Lincoln Center for the Performing Arts, a trustee at the New-York Historical Society, and an honorary director of the 92nd Street Y in Manhattan. He is also an emeritus trustee of the University of Chicago. Peter May’s board and trustee positions. Corporate elites covet board and trustee positions at prestigious nonprofit, cultural, medical and educational organizations and institutions in order to, in large part, network among other elites and to boost their public reputation. They also make big donations to these organizations and institutions with the same intention of boosting their profiles and leaving a legacy — for example, by getting their name emblazoned onto a university building or a wing of a museum. Many of these corporate elites hold nonprofit board positions even as they profit immensely from the destructive businesses they oversee. In fact, they channel some of those profits toward their philanthropy, which functions as cover for their larger roles in driving core societal problems like economic inequality, the climate crisis and public health crises. The Immokalee workers’ initiative, called the Fair Food Program, currently benefits about 35,000 laborers, primarily in Florida. Over the last decade, it has helped transform the state’s tomato industry from one in which wage theft and violence were rampant to an industry with some of the highest labor standards in American agriculture. But the Fair Food Program is now being threatened by Wendy’s and Trian Partners’ refusal to participate. The recent New York Times article said that after 2014, Wendy’s started importing most of its tomatoes from Mexico, “where forced labor and physical abuse are common.” According to the CIW, last year, Wendy’s announced its plan to “bring tomato purchases back to U.S.,” but did not commit to the Fair Food Program. The CIW’s effort to pressure Wendy’s to participate in the Fair Food Program is not just a battle between farmworkers and a major fast food chain. It is a battle that pits Florida’s tomato pickers against the Wall Street firm that oversees Wendy’s, which is run by a billionaire who has piles of cash to give to politicians like Donald Trump but who refuses to pay an extra penny per pound of tomatoes so that farm laborers can have better wages, safer working conditions, and more dignity at work. Gerardo Reyes Chavez, an organizer with the Coalition of Immokalee Workers, discusses more. The fast-food giant Wendy’s provoked outrage last week.